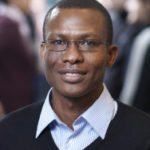 James Dzansi is a Country Economist at IGC Ghana. He works with researchers and policymakers to promote evidence-based policy. Before joining the IGC, James worked for the UK’s Department of Energy and Climate Change where he led several analyses to inform UK energy policy. Previously, he served as a Lecturer at the Jonkoping international Business School. His research interests are in development economics, corporate governance, energy economics and energy policy. James holds a PhD, MSc and BA in Economics, and LLM in Petroleum Taxation and Finance.